Objective measurement is an extremely important aspect of the player development process. If we are learning a new skill, having clear, concise, and immediate feedback is of the utmost importance. Whether we are trying to play a new instrument, learning golf, baseball, soccer, speech, or math having objective feedback is important to mastering the new skill. However, much is lost on objectivity in most realms of development. When you are dealing with the human ego as well as human nature, facts matter little. This is why you see so many different “styles” of coaching. In baseball, it’s why pitching coaches have so many different opinions as to why someone throws a baseball harder than you, or has better command, or has better breaking pitches. There is always a differing of opinion as to why that person is better. But what makes someone better than someone else in pitching? To make this question even harder, what objective measurement can we use that signals someone is a better pitcher than you? This is tricky, but the old school baseball players would say ERA, IP, Strikeouts, and Batting Average Against (BAA) would be tall-tell signs that someone is better. However, what one forgets to take into account; these are result driven stats. If you were to say, “Having a 1.02 ERA means you’re probably better than the person with a 5.45 ERA.” Well no kidding, but how do I get to having a 1.02 ERA? That is the question and its answered in many different ways. What about the new sabermetric stats being used, such as: ERA+, FIP, OBAA, etc. These are still result driven stats. They tell us who is good, but not how to be good. What we are looking for is a measurement that tells us what we can control. This could also be referred to as process-driven stats. What are process-driven stats? How can they make us be better? Another way of asking is what makes a pitcher good? Is it command, mechanics, breaking stuff? All these are factors but lets dive into stats a bit. First off, we cannot measure mechanics. Mechanics are completely subjective unless put under a bio-mechanics lab, and even that has some varying results. Under bio-mechanics labs, it’s hard to measure load on joints and this is important. There are very few truths when it comes to mechanics so using this parameter as to what makes a pitcher good is not exactly sufficient. What about command? This is also hard to measure, let me explain. Command of the strike zone does not always mean you will be successful. Head over to Fangraphs and you will see the data. Command of the zone means that you’re throwing strikes, but strikes don’t always correlate to success. German Marquez leads the league in zone%, meaning most pitches in the strike zone. He ended the year 11-7, with a 4.39 ERA. You can find that here. Not a bad year, but not a raging success either. So what is the most important metric? Well, that would be velocity. I can hear the parents and coaches now, screaming and yelling at me about how velocity does not matter. Well, let’s look at those stubborn facts. Velocity has a high correlation to swing and miss percentage. Well no kidding. The harder you throw the more pitches are swung on and missed by the batter. Here is a quick “study” to show you what I mean here. As you can see, the harder you throw the more pitches are missed. Here is the caveat, the more pitches that are swung on and missed, has a higher correlation to success. Don’t believe me, here is the raw data from Fangraphs on those who had the highest swing and miss percentage last year in 2017. My eyes could be bad, but I believe the top two in that list are the current Cy Young Award winners, Max Scherzer and Corey Kluber. Okay, what about in 2016? I believe the highest is Max Scherzer again (Cy Young Award in 2016) and Noah Syndergaard. But let’s look at 2015, Dallas Kuechel and Jake Arrieta. And finally I am defeated, Arrieta is 19 and Kuechel 30 respectively on the list. So I’m wrong, maybe velocity and swing and miss percentage do not matter. But I’m not soundly defeated. Arrieta’s fastball velocity was 94.9 in 2015, and Keuchel’s was 90.37. I can almost guarantee you that you are not averaging 90 mph on your fastball, and this is considered “crafty” in Major League Baseball. So as you can see, fastball velocity matters. This can also be seen as a result-driven stat though. I am with you on that, however there are a few things we know that help increase velocity. They are strength, size, movement, and arm strength/speed. These can all be separate blogs but they are a few things that do help increase velocity. If you can’t lift a truck or eat a horse and are complaining about velocity, then you have work to do. But whenever your coach says that velocity is not important and then they reference someone like Keuchel, please inform them that he still throws harder than 99% of the entire baseball population. ​The role of objective feedback is something that cannot be understated when trying to evaluate and develop skills. 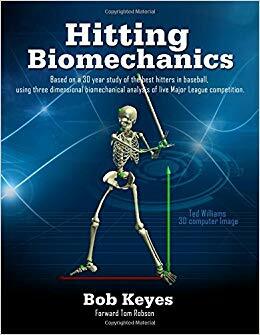 For so long baseball has been in the position of glorifying mechanics and methods that have not been proven and even worse are born out of subjective or biased information. Even though we definitely are not out of the woods yet we are starting to see a monumental shift in regards to how we consume and use information. Now, there are so many ways to measure performance and abilities at the blink of an eye. There are ways we can dissect spin rate, exit velocity, on plane percentage, bat speed, and batted ball distance easier than ever. With all of these metrics we now have the ability to evaluate even in places that are not a major league stadium. Baseball has long been a sport that is very connected to its history and doing things that it has done for a long time. Coming with that are teachings and methods that have no merit or weight behind their reasoning for doing them. It is so easy to look online and find the next drill that looks great and apply it to all of your clients even though they do not need it and more importantly the drill really hasn’t been tested or thought through. The toughest part of teaching a skill based discipline like swinging a baseball bat is trying to sift through all of the information that is put out and trying to find something that we know works. The only way to see this is by measuring and teaching things that can be directly measured. So much of what we do as hitting coaches is based on video and what we “see”. Going over on video what we see can easily be manipulated by our own biases and how “we” teach. What I have tried to do lately is step back and adjust my way of looking at hitting and trying to get down to the true nuts and bolts of the swing. I am trying to get rid of all of the “style” hitting movements and breaking it down to how the body efficiently swings an object. So much of how we dissect hitting mechanics is based on what we are teaching at that moment. Instead, we need to peel back the layers of movement and look at how the body is actually moving and what the mechanics of movement are. Never mind the swinging of a bat and if he looks like Albert Pujols or not. Instead we need to get better at breaking down movement for its value as purely that, movement. In my opinion golf is farther along in its understanding of movement and the true swing mechanics because it has developed a system of how to look at the swing objectively and not so much through the lens of our own judgement and preconceptions of what we believe to be a good swing. This is massively in part to the work done at the Titleist Performance Institute. They have revolutionized how to attack golf swing mechanics and training. They have laid the foundation for a systematic approach to helping golfers reach their true potential. Reviewing their work was about the time that I picked up my old movement anatomy book and started to go through rotational movements and what that meant for the muscles and structures of the body. By doing this I discovered that swing mechanics and how they are explained are really not formed on the basis of movement anatomy. Instead, they are heavily based on how someone interprets movement on a 60 FPS (Frames Per Second) video. And how they openly interpret these movements is eventually what camp their swing methodologies lie. This is why it is so easy to pick apart a video and get 1,000 different explanations for the same swing! If we looked at the swing as what it really is, movement, then we would be able to identify things that we all agree on instead of trying to shame someone because they do not “see” what you see on video. Ultimately, I have decided to break the movement of a swing down into its proven parts. This may seem like it makes hitting more difficult to digest but I would actually argue the contrary, it makes it less subjective and there is now a basis from which I can draw my conclusions. This led to my thought process shifting in how I teach and look at my hitters. With the availability of HitTrax and Blast motion I am able to put specific metrics to specific parts of the swing and track a wide variety of numbers. Based on what the numbers tell me I am better able to dissect the movements of the athlete with more tangible data. This lends itself to me looking at video and piecing together things that we can attack in order to get the numbers where we think they should be. This now gives us better feedback on what we are doing and if we are going in the right direction. Before, I would look at the HitTrax numbers and use that as a form of feedback. But now I am better able to see what is directly happening in the swing itself by utilizing the Blast baseball sensor. With the sensor, we are better able to look at what is going on with the athlete internally (swing mechanics) and we are better able to predict changes that are likely to happen externally (exit velocity, launch angle) before they actually happen. If we see better connection in their swing along with higher swing speeds and that hasn’t yet translated to better exit velocity and distances for example; we know that we are still on the right track and better external benchmarks are more than likely ahead. This was a huge step for me in terms of shifting the way that I look at and help hitters. Initially, this was extremely intimidating because it was so different from the approach that I had previously. But I am happy to say that based on the way things are going now I couldn’t be happier with the progress that the hitters have made. I have quickly learned that objective feedback that is backed by something other than your current bias is far more effective in fostering trust and confidence between your message and your players.